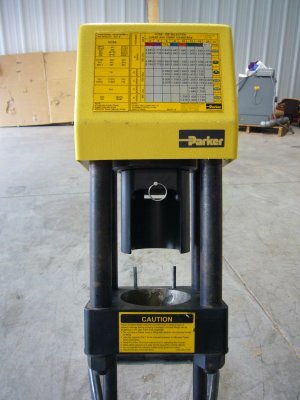 This is a RECONDITIONED Parker Karrykrimp 2 portable hydraulic hose crimper. It includes five good USED die sets for the popular 43 Series hose. Additional dies are available as needed. Please call us at 800.624.7760 with your needs, and we will quote you on the additional tooling cost and freight to your location. The Karrykrimp 2 portable hydraulic hose crimper crimps 1-1/4" thru 4 spiral (SAE 100R12) wire hose. It also crimps from 3/4" to 1" 6 spiral (SAE 100R13) hose. Crimping diameters are set for Parker style fittings. 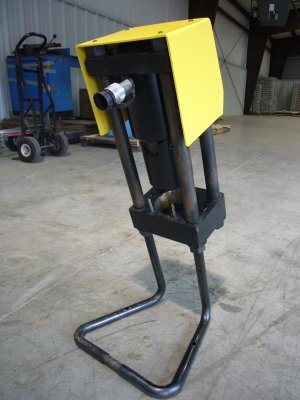 The crimper is compact and ruggedly built, and operated by hand, air/hydraulic, 12 vdc, or electric pump. 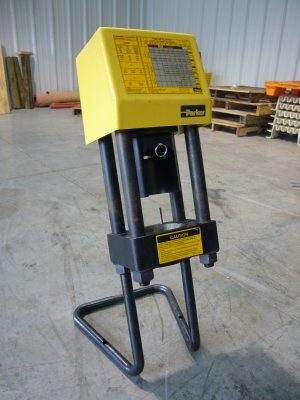 In one convenient package, Model 85C-061 includes crimping machine, take-apart stand, two die rings, and connection hose with quick coupling. 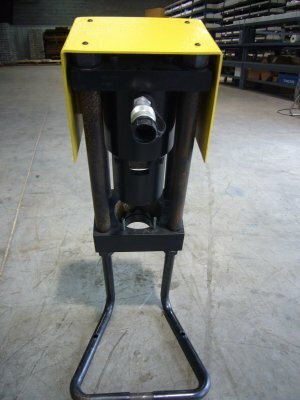 Also included is a 10,000 psi air/hydraulic pump to power the crimper. If you prefer, we will furnish either a hand pump 12 vdc pump, or an electric pump, depending on your preference. 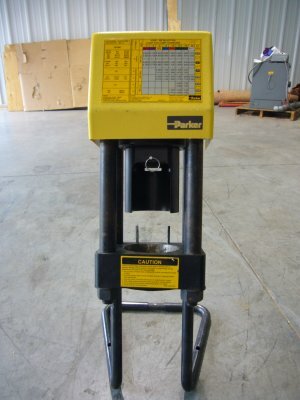 An Operator's Manual will be included with the equipment.